This is the enigmatic 1500-year-old Bible that is threatening the Vatican’s beliefs, it has the power to change history and shatter Christianity. 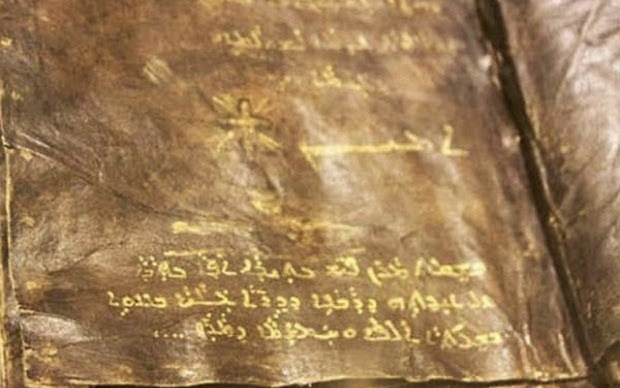 The museum of Ankara, Turkey, is home to a mysterious 1500 year old bible that according to many could change the way we look at religion and the Vatican seems to be threatened. This bible comprises the mysterious texts called the apocryphal gospels, including the Gospel of Barnabas and is a very controversial piece according to many historians. “I confess before heaven, and call to witness everything that dwells upon the earth, that I am a stranger to all that men have said of me, to with, that I am more than man. For I am a man, born of a woman, subject to the judgment of God; that live here like as other men, subject to the common miseries.” — Gospel of Barnabas, 94:1. 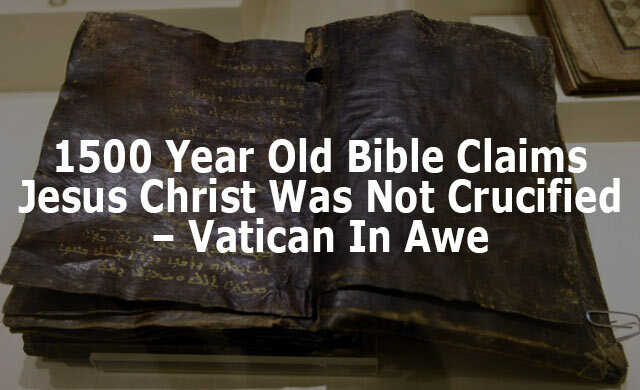 Through its leather leaves blackened over the centuries, there are texts, carved with golden letters, written in Aramaic which differ considerably from the canonical Gospels of the Bible, established at the Council of Nicea. Jesus is described as one of the prophets, ignoring His divine character. According to the Gospel of Barnabas, Jesus would not have been the one who was crucified, but Judas Iscariot, contradicting the resurrection that arises from the Vatican Gospels. This is one of the foundations of Christianity as the entire Christian belief is based on the death of Jesus, the savior of our sins and his resurrection is the hope for eternal life. So, which one is true? The two texts provide completely different point of views and it basically depends on your belief towards which one you incline more. Moreover, the text says that Jesus would have risen to heaven alive and that Paul would have been the Biblical traitor. Mysteriously, the enigmatic document reveals a prophecy of Jesus, about the coming of Muhammad, founder of Islam, and a prediction of the arrival of the last Messiah which has still not occurred. “In the beginning was the Word, and the Word was with God, and the Word was God. He was with God in the beginning. Through him all things were made; without him nothing was made that has been made… The Word became flesh and made his dwelling among us. We have seen his glory – John 1:1-3, 14. It is important to mention that the Gospel of Barnabas is not to be confused with the Acts of Barnabas, which is a fifth century apocryphal work directed to the church of Cyprus. Thanks to humansarefree for this article.